Photo: Fr. Thomas Rosica, CSB is interviewed by BBC Radio about the upcoming conclave in front of the media stand in St. Peter's Square. Fr. Rosica and S+L Producer Sebastian Gomes worked for Fr. 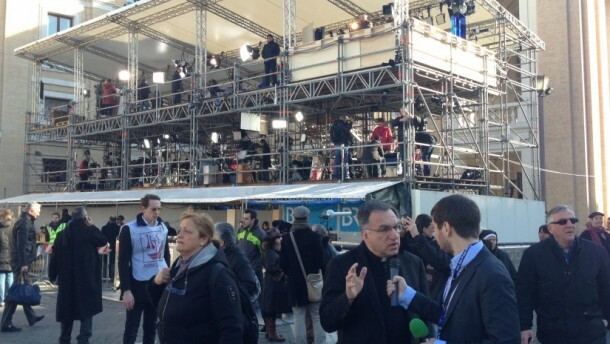 Federico Lombardi, SJ in dealing with the English media during the recent papal transition. I remember when Fr. Rosica called me into his office the morning of February 13th to tell me that Fr. Lombardi (the Vatican Spokesperson) had asked the two of us to come to Rome immediately to work with the English speaking media, who had already begun to swarm the Vatican two days after Pope Benedict announced his resignation. A lot has happened since that conversation. Good question. There are two reasons why I was chosen: 1) in gratitude for the work that Fr. Rosica and I did with the English media throughout the papal transition, and 2) in recognition of Salt and Light for its contribution to Catholic media and evangelization over the past ten years. Obviously these two things are closely related. But they both point to the more interesting question of what it was we tried to accomplish with the media in Rome and how that reflects an approach that is, not unique to Salt and Light, but certainly characteristic of it and expressive of a contemporary approach to media and social communications that is absolutely essential for the New Evangelization. This is the lens through which I’d like to share a little bit about my experience working inside the Vatican during the recent papal transition. The whole world was glued to their TVs and computers for a month watching those unforgettable scenes, and all the while Fr. Rosica and I worked tirelessly in the background explaining the processes and traditions of our beloved Church. We have a great story to tell, but it needs to be told well. We were not so much working in the Vatican as for the Vatican, helping Fr. Lombardi disseminate the official pronouncements from the Secretary of State and trying to make sense of them for the English (and French) journalists – not always an easy task when a Motu Proprio is handed to you in Latin and Italian only minutes before the press conference. Very quickly the journalists realized our official capacity and the flood gates opened. I recall the day when for the first time Fr. Lombardi walked into the press hall accompanied by Fr. Rosica and Fr. Gil Tamayo (the Spanish spokesperson). They sat down, he introduced his two new colleagues, and it was down to business. The English, French, Spanish, and German media almost fell off their chairs when they heard the Italian pronouncements repeated in their mother tongues. All the day-to-day business at the Vatican is conducted in Italian, which makes sense as a general practice, until one of those historic occasions (like a papal resignation) when the media floods Vatican City. In this regard I couldn’t help but sympathize with the non-Italian media, the vast majority of whom came from far away and at great expense with no agenda or axe to grind; they simply wanted to cover the events. And if you know anything about the secular media in the English-speaking world, you know that that is a very positive first step. By introducing the most prominent languages into the daily operations of the Holy See Press Office, and even more importantly putting a face to them, the Vatican took an enormous step forward. At one of those first press conferences I spoke to an American “Vaticanista” – a journalist permanently stationed in Rome to cover Vatican affairs – and she described the relationship between the Press and the Vatican in this way: “The Press are like hungry animals, and if you feed them often they are like birds that eat their fill and move on. 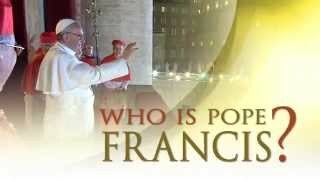 But if you don’t feed them, they turn into ravenous wolves.” Call it whatever you like, common sense or divine providence, but this insight crystalized for us the necessary approach for dealing with the hundreds of journalists and news agencies who journeyed to Rome knowing very little about the papacy or Catholicism in general. If this animal analogy can accurately describe the behavior of the Press, I soon realized that another animal analogy can describe the corresponding behavior of the Vatican: that of a turtle and its shell. 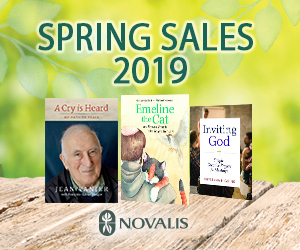 The Catholic faith is by divine commission something to be shared but it is also something to be preserved – that is one of the primary responsibilities of the institutional Church. But in an era such as our own which demands unrestricted access to information, an ancient and highly influential institution like the Catholic Church can appear, and at times is, excessively reticent. Aren’t we all a little perplexed by the turtle in the wild that at a seemingly random moment retreats into its shell despite the absence of any immediate danger? The relationship between the Press and the Vatican is such that each contributes to the current form and mood of the other; it is a circular relationship. If the Vatican is perceived (rightly or wrongly) to be out-of-touch, condescending, or even concealing information, the birds at the windows will soon transform into wolves at the doorstep. This of course elicits a defensive response on the part of the Vatican and it will quietly retreat into its shell for safety. If, as has been the case in the past, the Press lashes out at the Vatican, the probability of open dialogue and cooperation is lowered further. The question is: can the Press and the Vatican learn how to communicate with each other in a respectful and mutually productive way? That was the question Fr. Rosica and I asked each other after the first week of press conferences. It was now only days before the end of Pope Benedict’s papacy, but for us it was only the beginning. Part two of Sebastian's reflection on The Media and the Vatican can be read next week on the Salt and Light Blog.